Friends of the Earth have just launched a unique children’s story book about a bumblebee. This delightful tale has been written in rhyming couplets by David Greaves and colourfully illustrated by Danielle Callaghan. 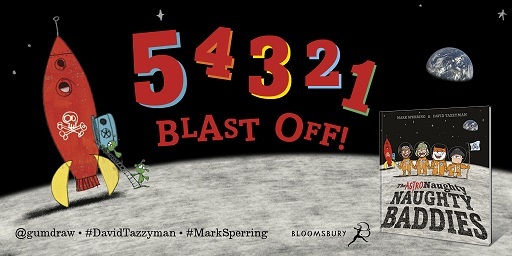 And the best bit is that you can personalise the book to make your child the main star. Use their name and ‘likeness’ to place them right at the heart of the action. The story becomes all about them and the bumblebee. The aim of this Friends of the Earth book is to teach young children why bees are so important in a fun and engaging way. This personalised story will put your son, daughter, nephew, niece, grand-son or grand-daughter at the centre of the tale. It will also take them on a journey to realise why we should embrace and respect nature. Money raised from sales of the book will help us to protect the wellbeing of people and planet, including our vital work to protect bees. This is helping to create bee-friendly spaces all over the country and protect Britain’s bees from nasty chemicals. 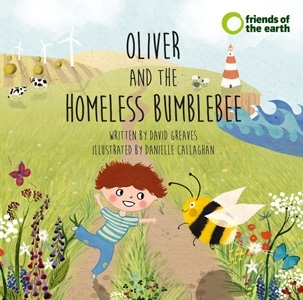 Hugely talented new author David Greaves and exceptional graduate Danielle Callaghan, who won a competition to illustrate the book, have both had great fun in creating what is sure to be a bed-time favourite. David said: "I've always had a soft spot for bees. I love their bumbling, slightly comical movements - like clumsy little astronauts who haven't quite mastered their rocket suits. And their peaceful droning is, for me, forever synonymous with long summer afternoons in the school holidays. I loved writing this story as I want to encourage others to help save these unsung heroes of the British countryside. They urgently need our support!" The book, priced just £12.99 softback or £16.99 hardback (includes free delivery), is available to order online at www.homelessbee.co.uk Orders need to be placed by 15 December to guarantee delivery for Christmas.